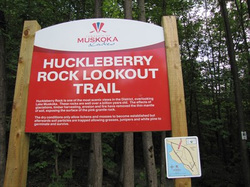 The Huckleberry Rock Lookout Trail is located on Milford Bay Road, off Hwy 118 right after the Huckleberry Rock-Cut. 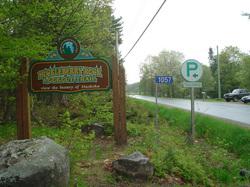 The trail is easy-moderate difficulty. 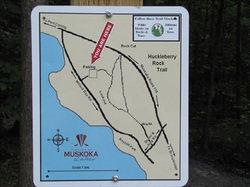 Wear good walking/hiking shoes. 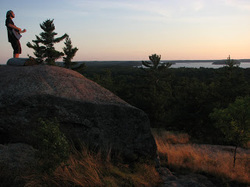 Bring a camera for the beautiful view of Lake Muskoka.